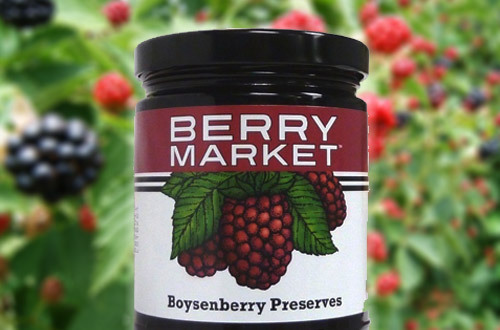 Treat yourself to delicious dining, tasty preserves and jellies, and a fine assortment of gifts, souvenirs and collectibles. 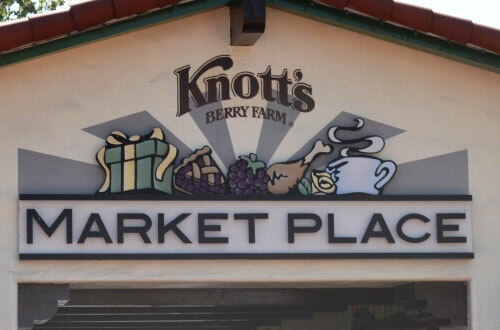 It's all here at the California Marketplace at Knott's Berry Farm. 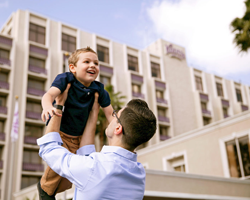 You'll find just what you're looking for and more. 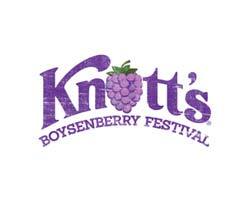 Mrs. Knott’s Chicken Dinner Restaurant now features a full service bar, serving signature boysenberry-infused cocktails. 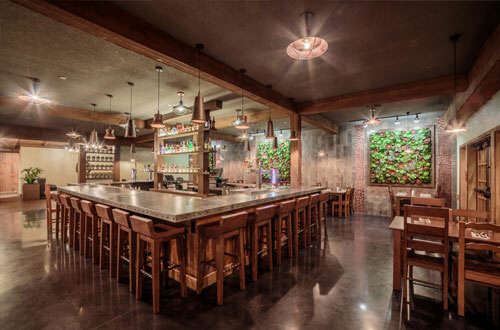 With décor that pays homage to the Garden Dining Room that preceded it, the bar is at once rustic and modern, and a great place to retire to after a day of fun in the park. 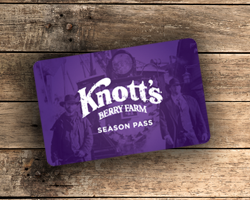 The world's largest selection of Knott's Berry Farm's signature jams and jellies, gift packs, flavored coffees, gourmet foods and gifts. Order your custom gift baskets here. Gift packs and mail orders are available, of course. 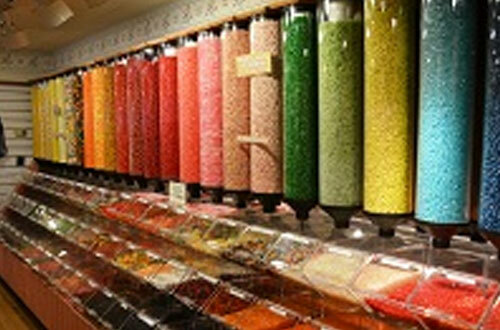 This tantalizing and colorful shop is stocked with a variety of seasonal candy and related gifts. Stop by for old-fashioned candy, boxed chocolates, taffy, suckers, and sugar-free treats. Located near the Main Gate, this shop offers a collection of souvenirs and gifts. 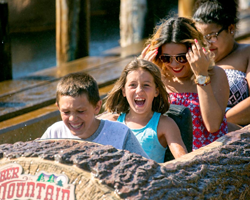 This is also your stop for Season Pass purchasing. Enter a world of beauty as the MarketPlace Emporium show cases the artistic items of Jim Shore, seasonal merchandise, an animal section, and more. 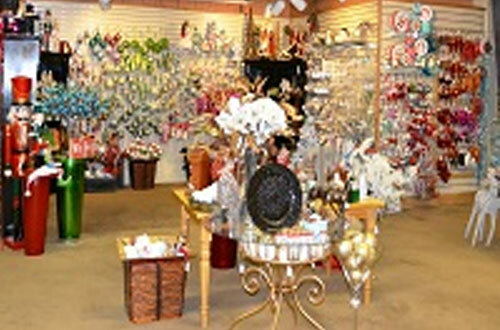 Visit our celebrated Christmas Corner for all your Christmas needs all year-round. 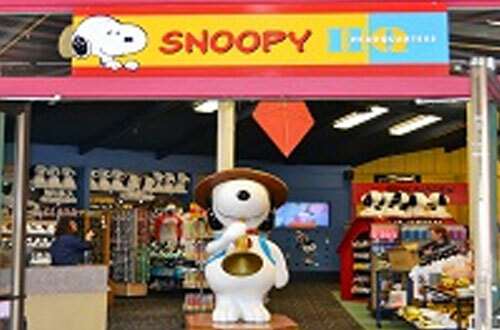 PEANUTS Headquarters features some of the most coveted Peanuts merchandise and collectibles uniquely displayed in Snoopy's Red Doghouse on Grand Avenue. Find exclusive "Snoopy", "Charlie Brown" and "PEANUTS Gang" clothing, plush, toys, books and more in the largest shop in the park. 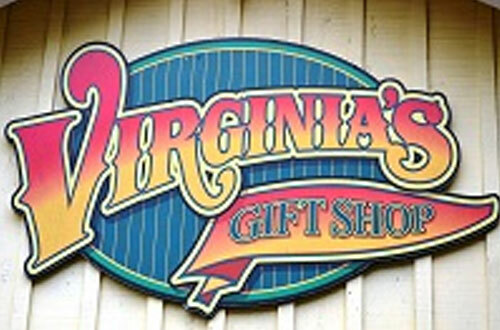 One of the West's largest selections of decorative treasures and collectibles, Virginia's Gift Shop has items of all kinds for any occasion. Enjoy the fine collection of Lladro figurines, branded street wear, seasonal merchandise, and more.